Largely considered one of the best novel of the Twentieth century (W.H. Auden among the others) and one of the finest about the Great War (Anthony Burgess), the tetralogy of Parade's End (Some Do Not . . ., No More Parades, A Man Could Stand Up and Last Post the four titles coming out from 1924 and 1928) will be the leitmotif of the upcoming international conference to be held at the Institute of English Studies, University of London, from the 27th to the 29th of September 2012. The topic seems to be hot, since an adaptation from this tetralogy, a BBC miniseries scripted by Tom Stoppard, was recently aired. From what we can learn from The Guardian, the adaptation has generated a "tipically British debate". Probably the adaptations from Parade's End cannot compete with the book. It happens. Anyway, coming back to the conference, for further information you can visit the dedicated website. To contact the organisers, Rob Hawkes and Ashley Chantler, please use this email address. Here you can download the program which is posted also below. Christos Hadjiyannis (Institute of English Studies) – ‘Ford Madox Ford, T. E.
Hulme and the First World War’. in Parade’s End and Andre Maurois’s Les Silences du Colonel Bramble’. Adam Piette (University of Sheffield) – ‘War and Division in Parade’s End’. Mud: Parade’s End and the Liquidity of Landed Relations’. Bones”: Christopher Tietjens, Vera Brittain and the Anodyne of War’. 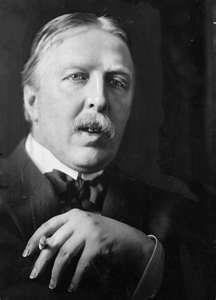 producer/director of Who on Earth Was Ford Madox Ford? A Culture Show Special. reception, kindly sponsored by Carcanet Press and Oxford University Press. and the Impossibility of Autobiography’. Pre-Raphaelite Inheritance in Some do Not… and The Good Soldier’. George Wickes (University of Oregon) – ‘Hemingway’s Literary Godfather’. Was the Nightingale Compared to Works by J. R. R. Tolkien’. Memory in Parade’s End: (De)Composing the War’. Erin Kay Penner (Rothermere American Institute) – ‘Swearing by Ford’. Paul Skinner (Independent Scholar) – ‘Tietjens Walking, Ford Talking’. bodies are of no use to the King”: Insomnia in British Literature of WWI’. Parade’s End, Impressionism, and Psychoanalytic Trauma Theory’. noise?” Mapping the Soundscapes of Parade’s End’. Nathan Waddell (University of Nottingham) – ‘Ford Madox Ford’s Musical War’. Tree: Wagner and the Hueffers’. Space of War in Parade’s End’. Gene M. Moore (Universiteit van Amsterdam) – ‘Impressionism as Therapy’. Pantomime, Prophecy and Tosh in Parade’s End’. 14:40-18:00 Film Screening – Parts 2 & 3 of the 1964 BBC adaptation of Parade’s End.